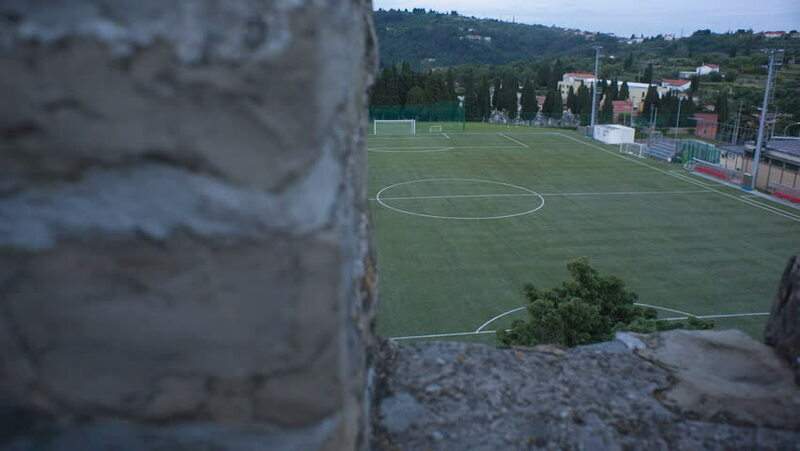 Shot of landscape footbal playground in front from behind the wall with window. Nightfall. Shot in slider. hd00:10RIJEKA, CROATIA - JANUARY 30: soccer match between HNK Rijeka and ND Gorica (friendly match) 2016 in Rijeka, Croatia. Josip Brezovec try to score the goal. 4k00:09FEBRUARY 25, 2018: Aerial video of Vik Retreat and Vik vineyard in Millahue, Chile. Vik produces best quality red wine. Hotel architect is Marcelo Daglio. It is a luxury holiday destination.